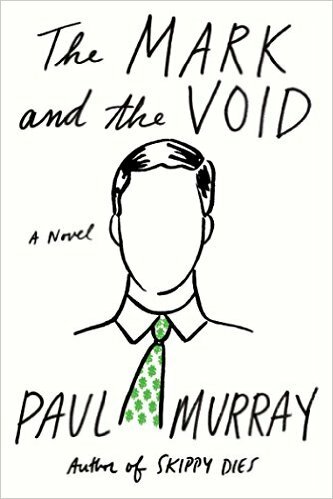 Irish author Paul Murray will make a campus appearance on Oct. 20 at 4 p.m. in Connolly House, 300 Hammond St. to mark the publication of his newest novel, The Mark and the Void (Farrar, Straus and Giroux, 2015). His previous novels are An Evening of Long Goodbyes, which was short-listed for the Whitbread Prize, and Skippy Dies, which was long-listed for the Man Booker Prize and was a finalist for the National Book Critics Circle Award. Advanced registration is requested. Sponsor: Irish Studies. | Interview with Murray in The Guardian. This entry was posted in Guest Authors and tagged Irish, Irish Studies, novelist. Bookmark the permalink.